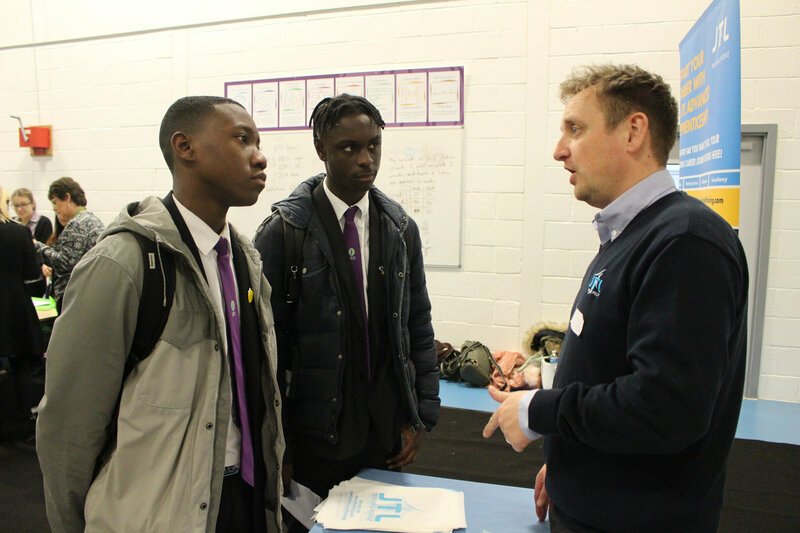 On Wednesday 25th January 2017, Lealands hosted their third annual Careers Fair. Lealands invited local and national businesses along with local colleges, universities, apprenticeship providers and the armed forces to come in to provide help, information and advice to students about their future and opportunities beyond Lealands High School. The School’s Sports Hall was transformed into an exhibition centre, with displays from over twenty exhibitors. Students from Years 9-11 were encouraged to visit them all, asking questions and finding out information which they could use to make decisions about their future. There were course guides to collect, surveys to fill in, competitions to enter, leaflets and lots of interesting goodies to pick up. 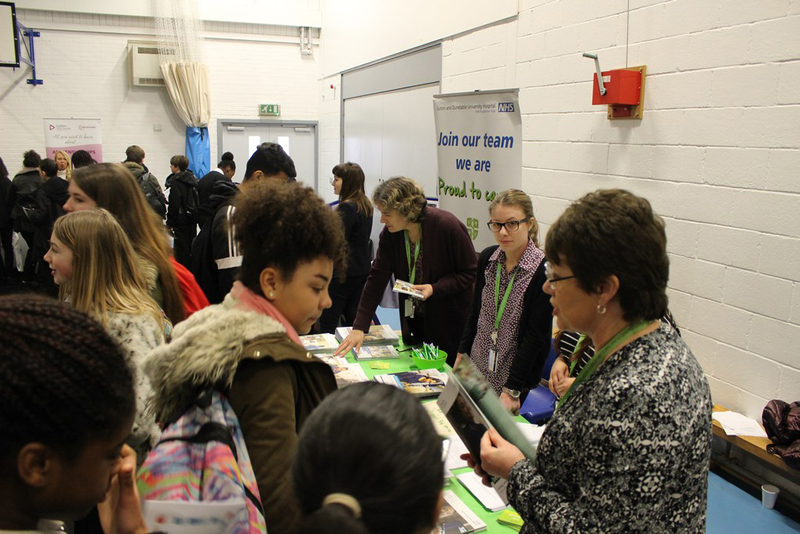 The exhibitors included all of the local further education colleges, apprenticeship schemes, the British Forces, Luton and Dunstable University Hospital, Barclays Bank, Lloyds Bank, Vauxhall, Aldi, Active Luton and many more. The Careers Fair also coincided with the Year 9 parents evening. This is a very important time for our Year 9s as they soon have to choose their options for Key Stage 4. Parents were given the opportunity to visit the Careers Fair with their child to help with their decisions which will need to be made in the next few months. Lealands’ Students Perform at ‘The Great Big Dance Off’ Bright future careers for Luton primary students!